Another data conversion option offered by the latest xlwings release is Pandas dataframes and dataseries. This post will look at how to pass an Excel range as a dataframe or dataseries in a User Defined Function (UDF), and some simple statistical applications, but this is barely scratching the surface of the potential of the Pandas Python Data Analysis Library. Use of this UDF with four different statistics functions is shown below. 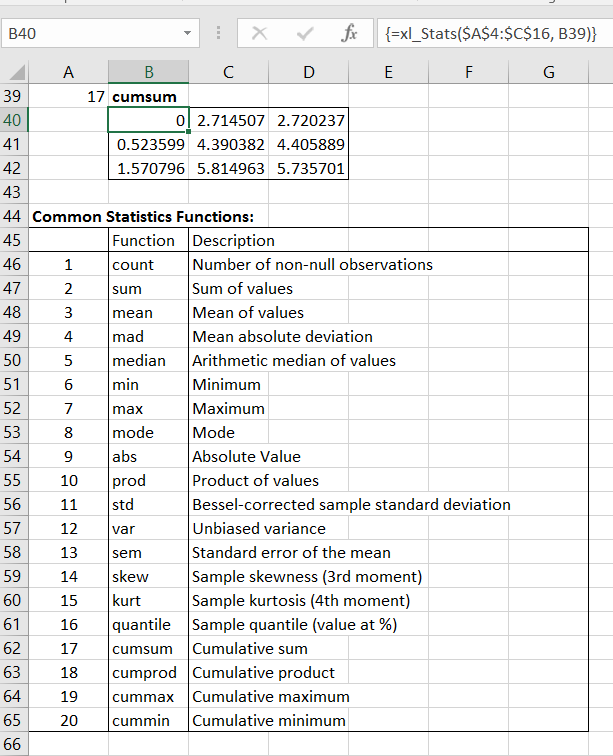 In these examples the statistic is a single value, and the results for each of the three columns of the input range are returned as a single column with three rows. available for free download, with full open source code. 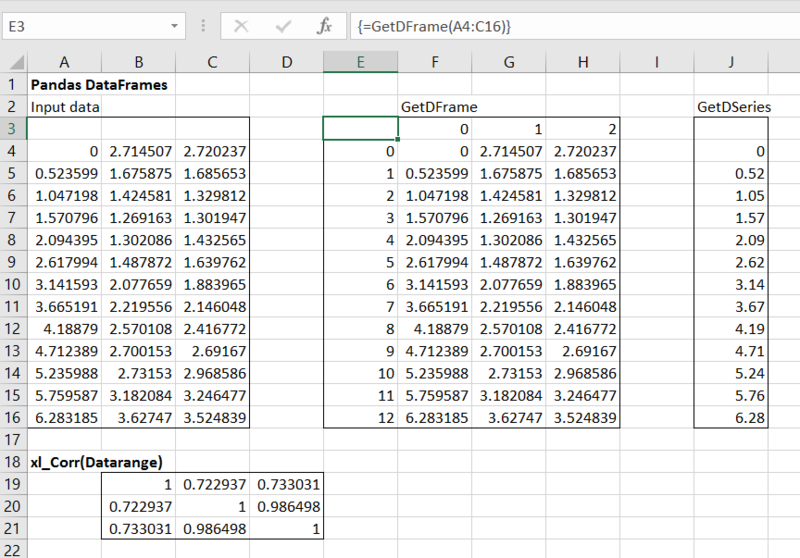 This entry was posted in Excel, Link to Python, Maths, Newton, Python Pandas, UDFs, VBA and tagged dataframes, dataseries, Excel, Pandas, Python, statistics, UDF, VBA. Bookmark the permalink.